Eighth Grade parents - Graduation tickets are in the midterm mailing. Please contact the school if you do not receive your child's midterm. Fourth Quarter midterms have been mailed. End of the year events are listed in the mailing. OJHS Parent Team meeting on Monday, April 22 at 5:30. Join us to discuss the remainder of the year events. OJHS staff are looking forward to meeting incoming seventh graders tomorrow night at 6:30 pm. OJHS will take the IAR (Illinois Assessment of Readiness) from April 4 -11. Students do their best when they have a good night's rest and breakfast. 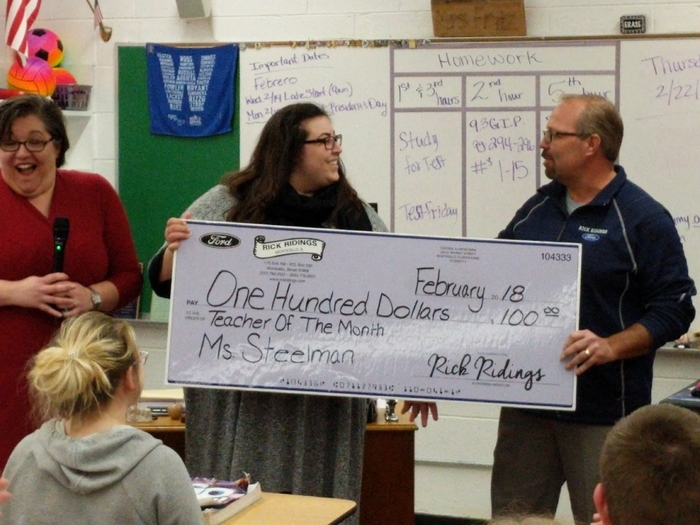 OJHS Studdents and Staff donated pennies and other currency to support the Basic Essentially Pantry, the Dwelling Place of Vermilion County. 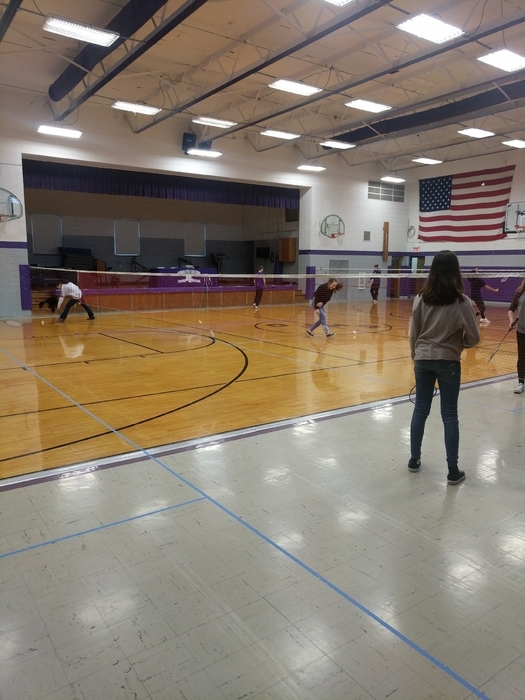 We had a friendly competition between homerooms. Mrs. Peterson and Mrs. McGee's homerooms were winners. 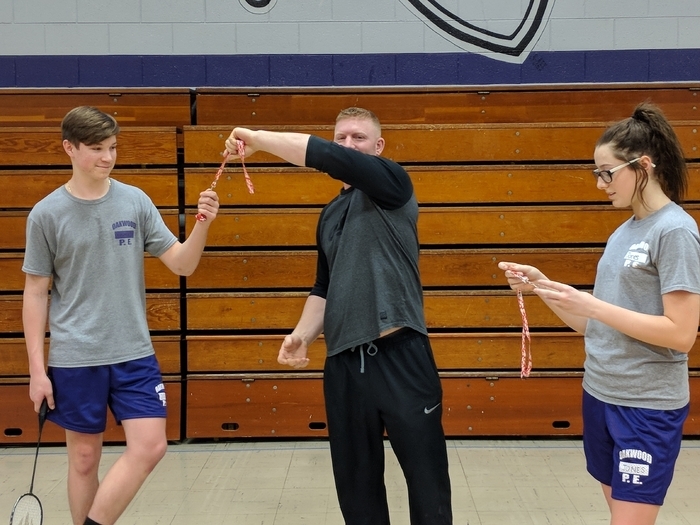 Mr. McCune's class received a consolation prize for most silver coins. OJHS students will participate in state testing from Thursday, April 4 through April 11. 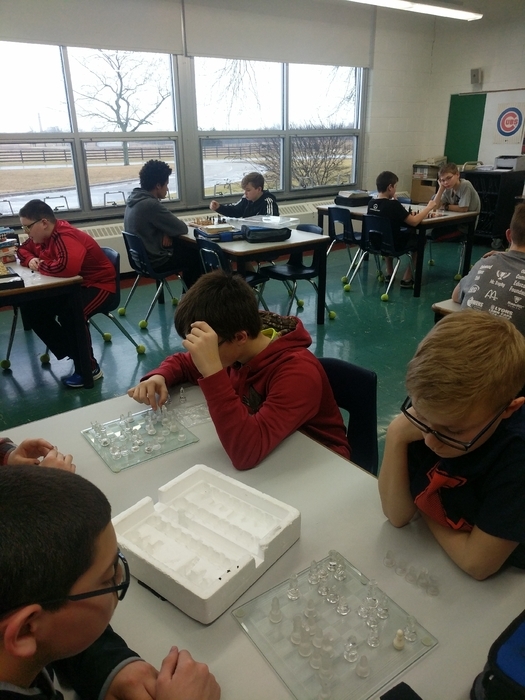 The eighth grade will complete the ISA (Illinois Science Assessment) on April 16. OJHS students will participate in a school wide safety program. Freshman paperwork is due on Thursday, March 21. Two sheets need handed in: Freshman schedule (blue paper) with a parent signature and the four year plan worksheet. Friendly reminder...Parents and students plan on joining us on Wednesday and Thursday from 4:00-7:00 pm for Parent Teacher Student Conferences. No appointments needed. Report cards will be in the gym for pick up. . Refreshments and raffle are included! Wednesday and Thursday, March 20-21, are 1:40 pm dismissal days. OJHS Parent Teacher Student Conference on March 20-21, 4:00-7:00 pm. No appointment needed. We look forward to seeing you! Shelter in Place Drill on Thursday, March 14, 2019. 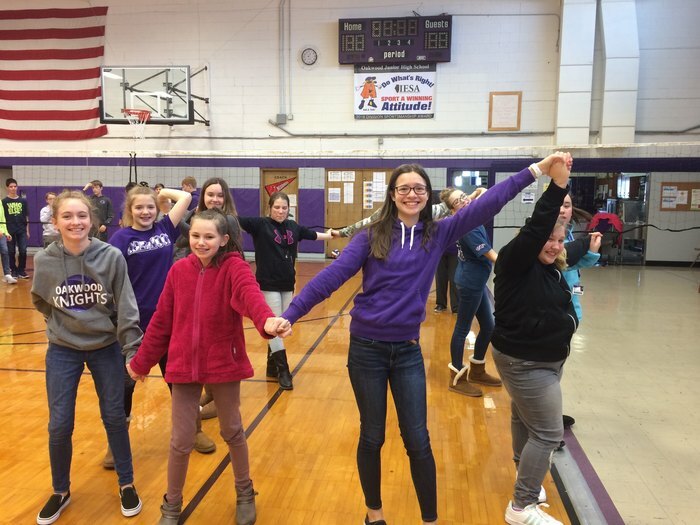 Seventh Grade Orientation Thursday, April 11, 2019 at 6:30 pm at Oakwood Junior High School. OJHS Parent Teacher Student Conference on March 20-21, 4:00-7:00 pm. No appointment needed. Friendly reminder to Eighth grade parents and students: Freshmen Orientation tonight at OHS, 7:00 pm. 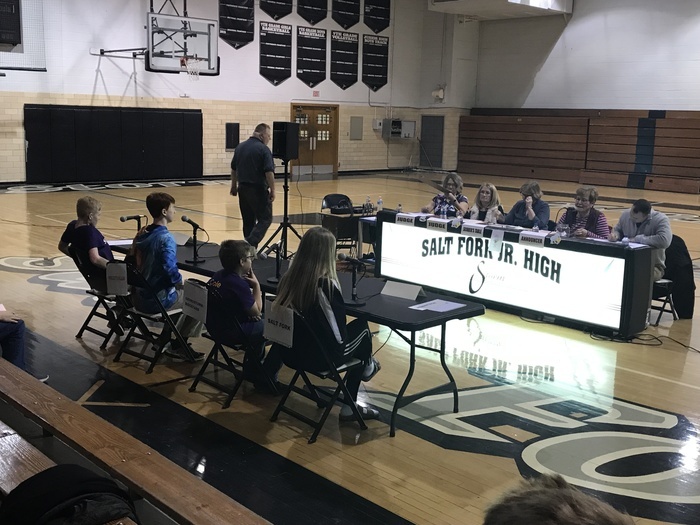 Scholastic Bowl meet at Oakwood Grade School tonight. Eighth Grade parents: Mark your calendar...Freshmen Orientation is Monday, March 11 at 7:00 pm at Oakwood High School. Kindness Week Friday is "OJHS Knights Honor Day" Wear your favorite school colors. Kindness Week - Thursday is "Kindness is our super power" Come as your favorite superhero. Kindness Week at OJHS! Wednesday is "Dream of Kindness" It's pajama day - wear your school appropriate pajamas with slippers or shoes. Good luck to the OJHS Spelling Team. They will compete at DACC tonight. OJHS Volleyball at Westville tonight. 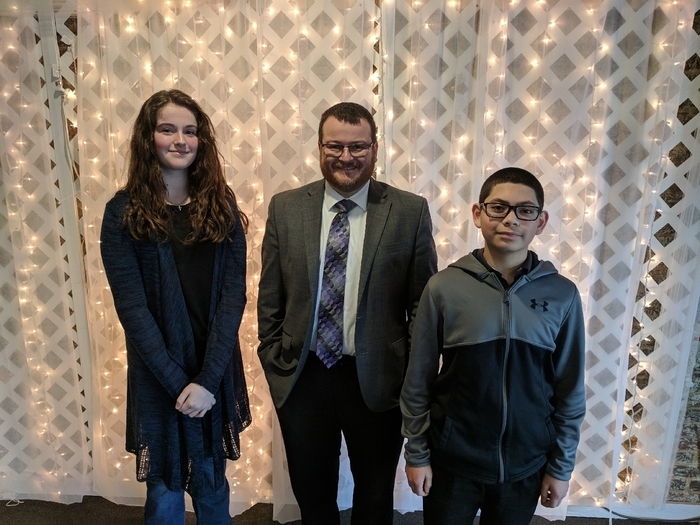 Congratulations to Kaelyn Miller and Jarron Fleming for participating in the IPA Student Recognition Breakfast. 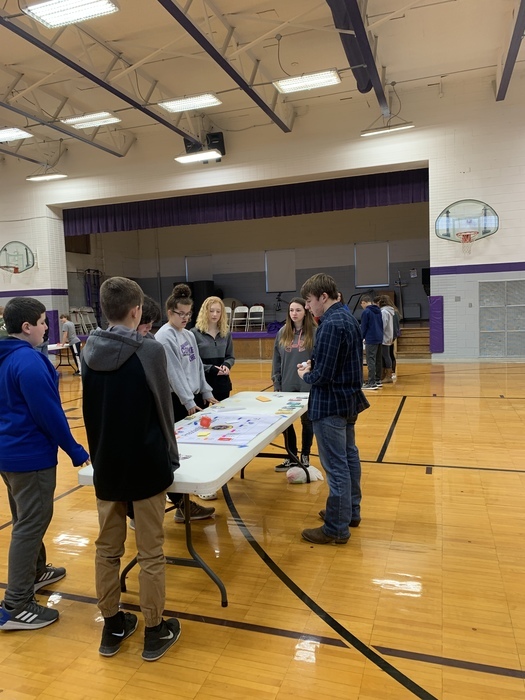 OHS Ag students sharing a game with the PE classes. 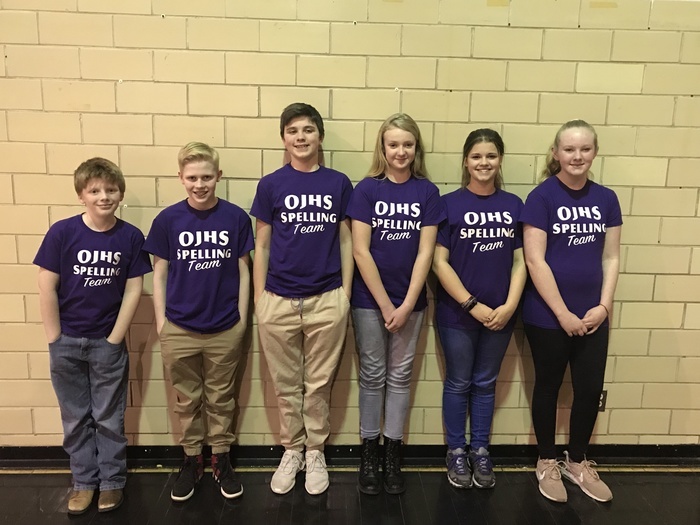 Congratulations to the OJHS Spelling Team. 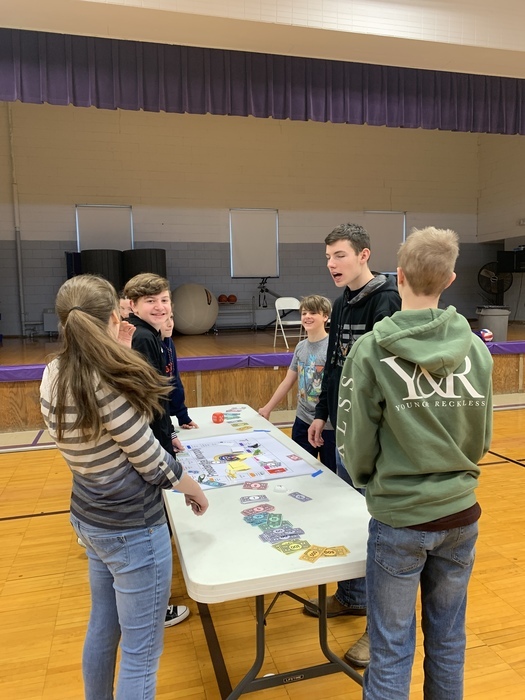 They advance to Finals at Danville Area Community College on Thursday, February 21, 2019. Good luck to the OJHS Spelling Team. 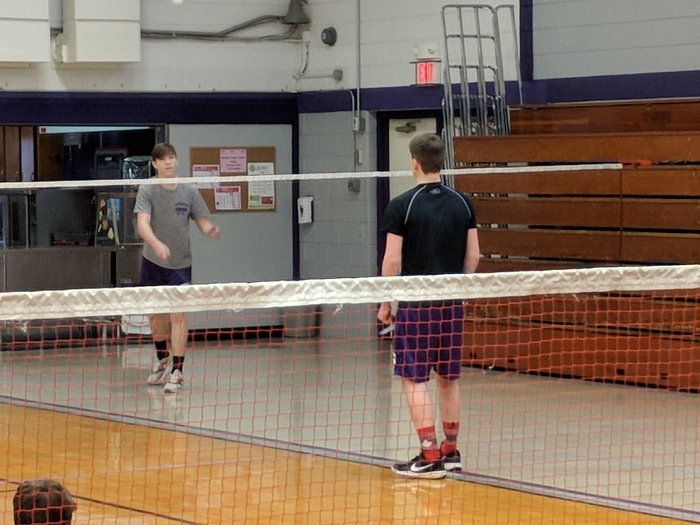 The team competes in today's semi-final match at Salt Fork this afternoon. The top two teams from today's match will advance to finals held at DACC on Thursday night. 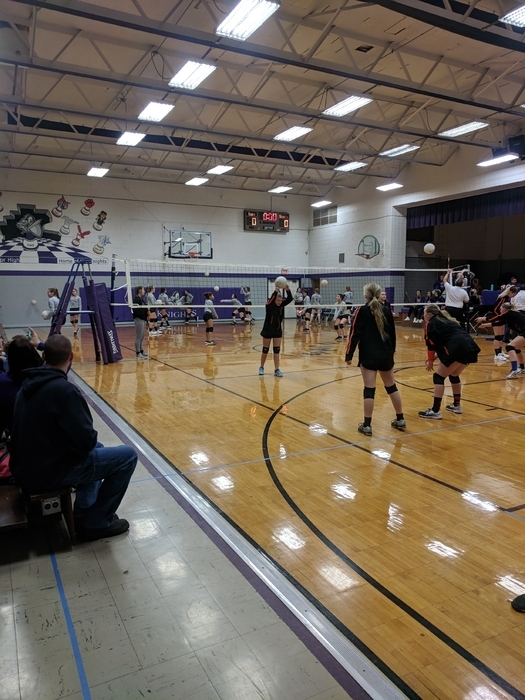 OJHS Volleyball at Salt Fork/Jamaica on Tuesday, February 19 at 6:00 pm. OJHS Volleyball at PVO/Flatville today at 6:00 pm. OJHS is participating in a Kindness Challenge. We are focusing on being kind and helping others. Tonight is Volleyball eighth grade night. We will announce players before the eighth grade game. Plan on joining the OJHS Parent team for spaghetti 4:30 6:00 pm at the Oakwood High School. Seventh and Eighth Grade County Volleyball schedules are in the Volleyball Documents under the Menu link on the OJHS website. OJHS Sports Recognition - Friday, February 8, at OHS. 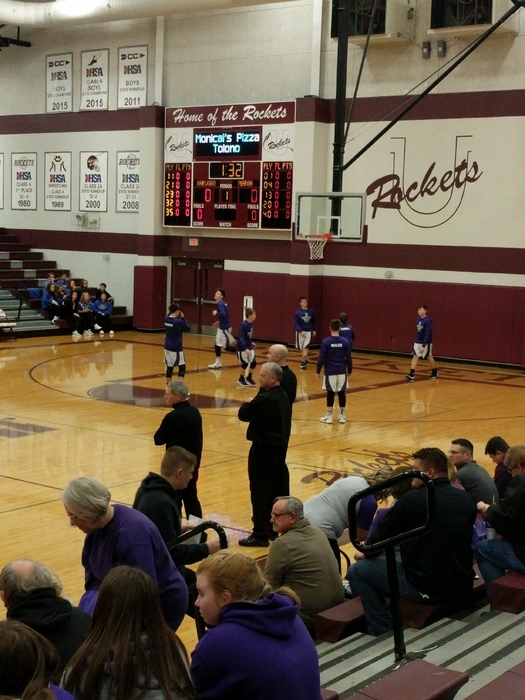 We will recognize Baseball, Girls and Boys Basketball, Cheer and Volleyball during the OHS Varsity half-time. OJHS Spaghetti Dinner on Friday, February 8 at OHS. 4:30 - 6:00 pm. No power? No problem! Team bonding time. Congratulations to our 8th grade boys basketball team for winning today's regional game against PBL. They will play in the regional championship game on Monday, February 4, at 6:00 pm at St Joseph Middle School. We will offer a fan bus to the game. Please send a signed permission slip giving permission to ride the bus and $3 for admission. We must have 20 signed up to go. Bus will leave at 5:15 from OGS. Tonight's volleyball game is cancelled. Due to inclement weather, Oakwood Schools are closed tomorrow, Wednesday, January 30th. All scheduled practices, games, and after school activities are also cancelled. 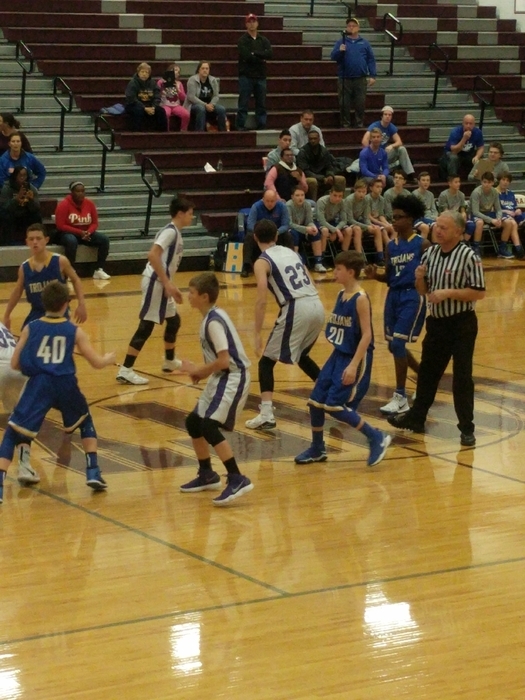 Eighth Grade Boys regional game is rescheduled for Saturday, February 2, at 9:00 am. Bus time is 8:00 am at OGS. Eighth Grade Boys Regional game is cancelled for Tuesday, January 29. Rescheduled date will be posted at a later date. Due to inclement weather, Oakwood Schools are closed tomorrow, Tuesday, January 29th. All scheduled practices, games, and after school activities are also cancelled. Tuesday's volleyball game at home as been cancelled. Tonight's volleyball game at Prairieview Ogden has been cancelled. Seventh Grade Volleyball girls will participate in the MMJH Panther Classic at Pinecrest Elementary in Georgetown. First game is 10:00 am. 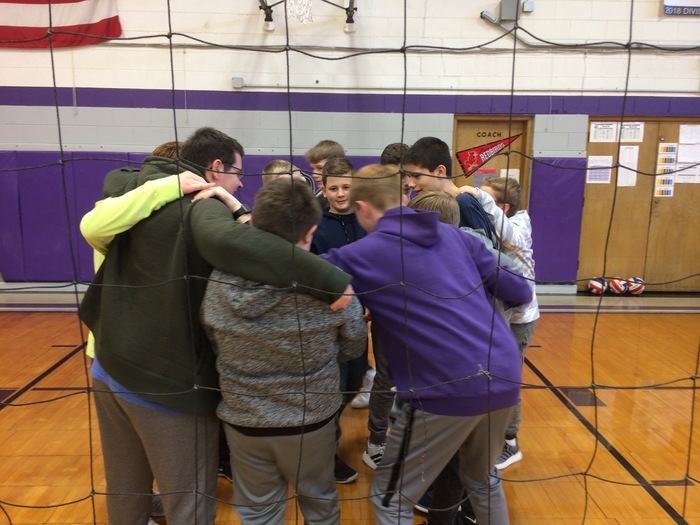 Eighth Grade Boys Basketball - Good luck at Regionals! First game is Saturday at 11:15 am, St. Joseph Middle School. 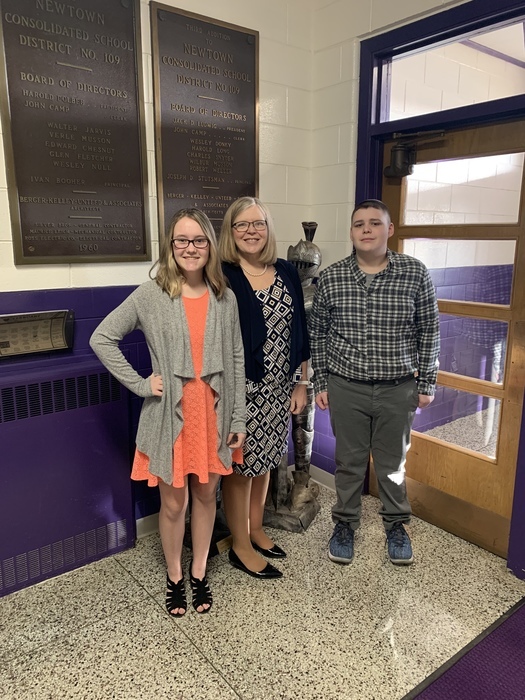 Ms. Pregent joined Oakwood Junior High today. She shared information from her trip to the camps in Poland and participating in the Living March. 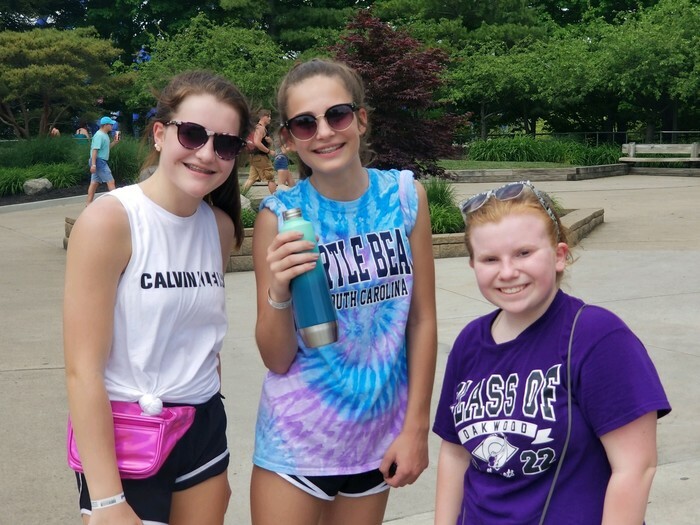 Eighth Grade Josten's Gear forms deadline has been extended to Monday, January 28. The Josten's forms do not include gown costs. The Sports Picture brochure can be found under Menu, Documents on the OJHS website. The brochure is in the Sports Picture folder. Sports pictures on Wednesday, January 23, for girls basketball, volleyball, and cheer. Students should bring uniforms to school. Order information can be found at inter-state.com/order. The OJHS code is 36705W. All checks are payable to: Inter-State Studio & Publishing Co. Tomorrow's seventh grade boys basketball regional game has been cancelled. Rescheduled information: Monday, January 21, at 5:00 pm in St. Joseph. Bus leaves at 4:00 pm. Saturday's volleyball tournament has been cancelled due to weather. The rescheduled date is set for February 9. OJHS Parent Team meeting on Tuesday, January 22, at 5:00 pm. We will discuss the February 8 Spaghetti Dinner. Jostens will be at OJHS on Friday, January 18. They will take gown measurement and collect signatures for t-shirts. OJHS Second Quarter Report cards were mailed last week. OJHS Volleyball has its first away game at Hoopeston tonight. Game is at John Greer, 6:00 pm. Tonight is Eighth Grade Night for Boys Basketball and Cheer at OJHS. Eighth grade athletes will be recognized before the eighth grade game. OJHS Cheer will not be traveling to Peoria on Saturday, January 12, due to inclement weather. OJHS 7th Grade Volleyball Tournament has been cancelled for Saturday, January 12. New date is January 26. 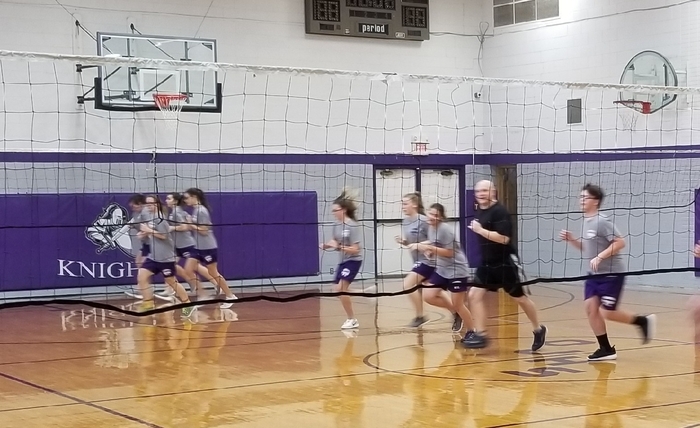 Josh Bennett, our School Resource Officer, ran the Pacer with the 1st Hour PE class today. December 21 will be filled with holiday fun. ALL students will participate in homeroom competitions in the morning. Second quarter incentive will be movies in the afternoon. Students may bring snacks and purchase from Student Council. December 20 -21 are 1:40 Dismissal days. OJHS Volleyball practice starts on Thursday, December 13. A current athletic physical needs to be in the office to practice. Christmas Concert on Thursday, December 13 at 7:00 pm at the Oakwood High School. Chili dinner before concert, 5:30-6:30 to benefit OHS Florida trip students. OJHS Eighth Grade Girls Basketball won their second Regional game against Tolono Unity, 20-16. Join OJHS on Friday, November 30, for the Regional Championship game at 6:00 pm against Tuscola East Prairie. Good luck Lady Knights! Congratulations to the OJHS Eighth Grade Girls Basketball team for winning their first Regional game against Westville, 37-18. 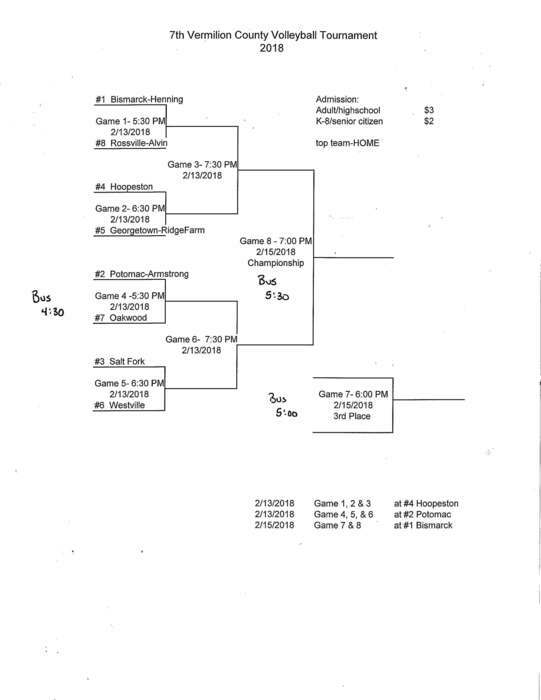 OJHS will play Tolony Unity on Thursday, November 29 at 7:15 pm at St. Joe. Good luck! 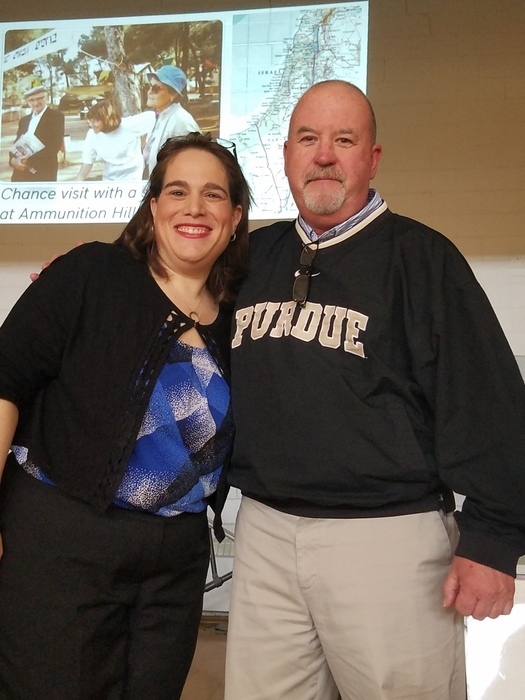 Mrs. Cox, Illinois Secretary of State Spokesperson, provided an assembly on November 20. Parent Meeting, Tuesday, November 27, 5:00 pm at OJHS. 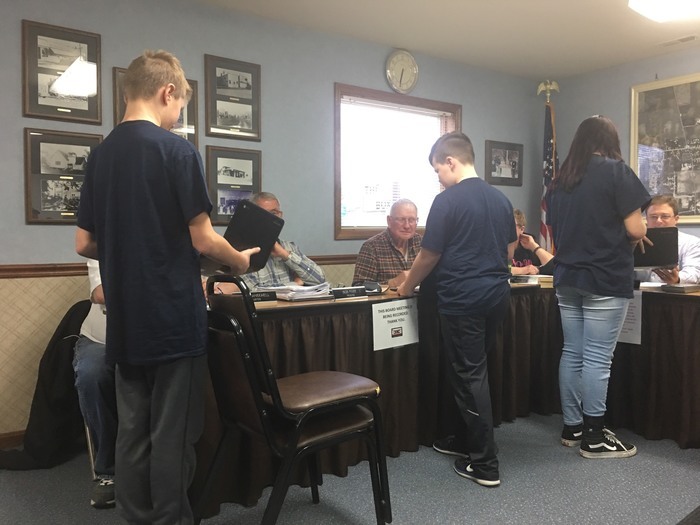 Agenda items are the December Student Incentive and the Spaghetti Dinner. OJHS Student Council members volunteering at the Festival of Tress. American Legion Post 610 Essay Finalists Recognized Mikayla Cox, Cristian Esquinca, Lacey Harrison and Kaelyn Miller were recognized for their essays during the annual OJHS Veterans Day Chili Supper. 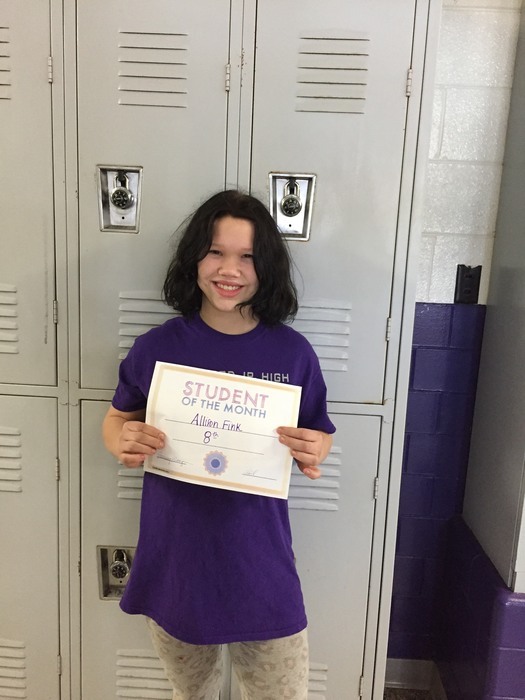 Kaelyn Miller was announced as the winner of the writing contest. Please take a few minutes and complete the OJHS Parent Needs Assessment Survey. Your input is important. Find the link on the OJHS Weebly page. OJHS collected 213 pairs of socks for the Domestic Violence and Transitional Shelter Services. There will be a sock hop Friday during 6th Period to celebrate surpassing our school goal. Parent Team meeting on Thursday, November 15 at 5:00 pm at OJHS. Please join us! Chili Supper at OJHS tonight from 5:00-7:00 pm. 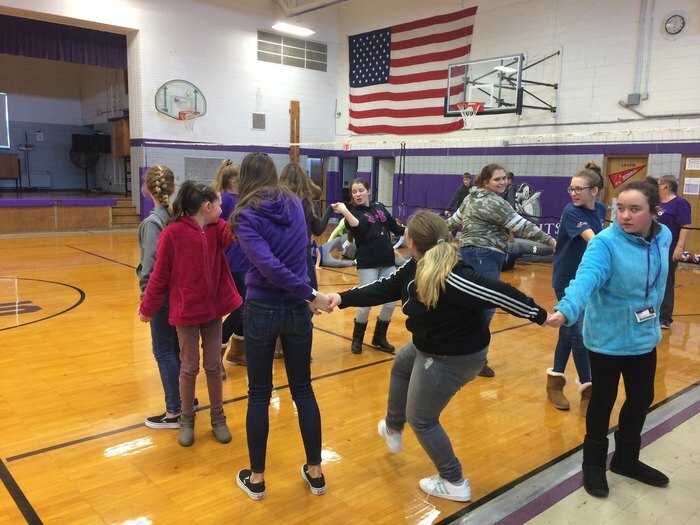 Eighth Grade Fundraiser begins today. Money will go towards the eighth grade trip in May. Soctober update - OJHS has collected 146 pair of socks for the Domestic Violence and Transitional Shelter. 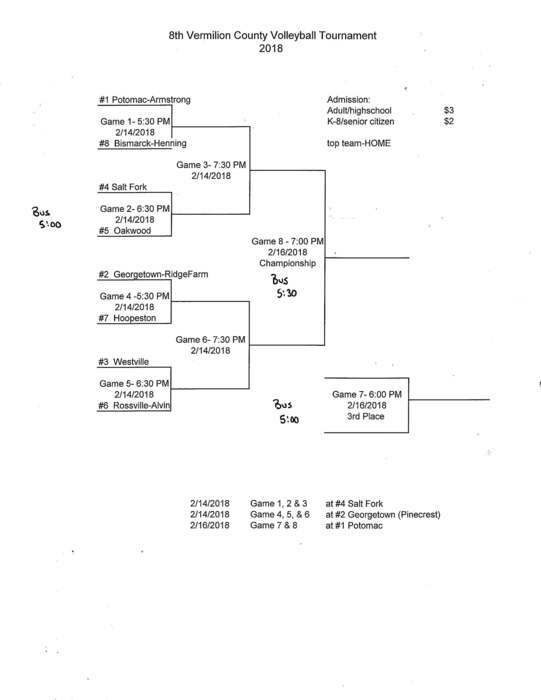 OJHS Boys Basketball will open with the Monticello Basketball tournament. Dates are October 30, 31, and November 2. Socktober Update - OJHS has collected 83 pairs of socks for the Domestic Violence and Transitional Shelter Services. We are collecting until November 2. If we meet our goal, OJHS will have a sock hop in November during 6th hour. The Eighth Grade Girls Basketball County Tournament game is at Bismarck tonight at 7:15 pm. Please park in the southeast parking lot and enter the building in the southeast corner. 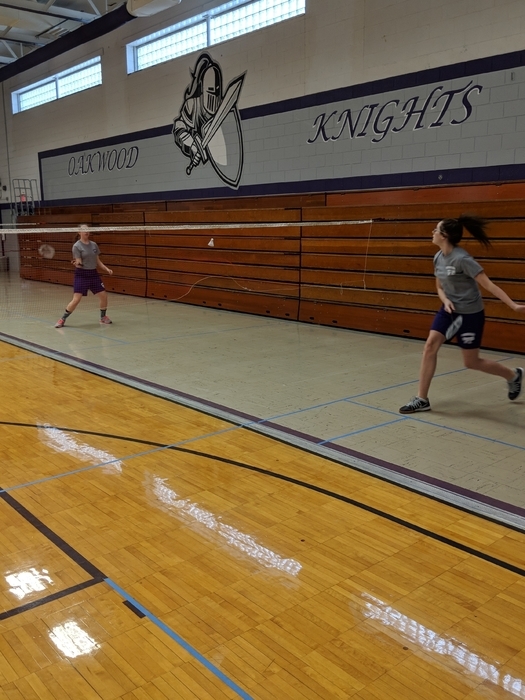 Oakwood will play in the multipurpose room gym. Veterans Day Chili Supper is Tuesday, November 6, 2018 from 5:00 - 7:00 pm at OJHS. During this event we will be celebrating our community and honoring all of those who have served our country. We will also recognize the winners of a writing contest sponsored by the Oakwood American Legion Post 610. Free will donations will be accepted. Proceeds will benefit the Homeless Veterans Program at the VA Illiana Health Care System in Danville. Lights On Afterschool-October 25 from 5-8 pm, OJHS and OGS are hosting a lights on event. All parents, family, staff, and community members are encouraged to attend this event. 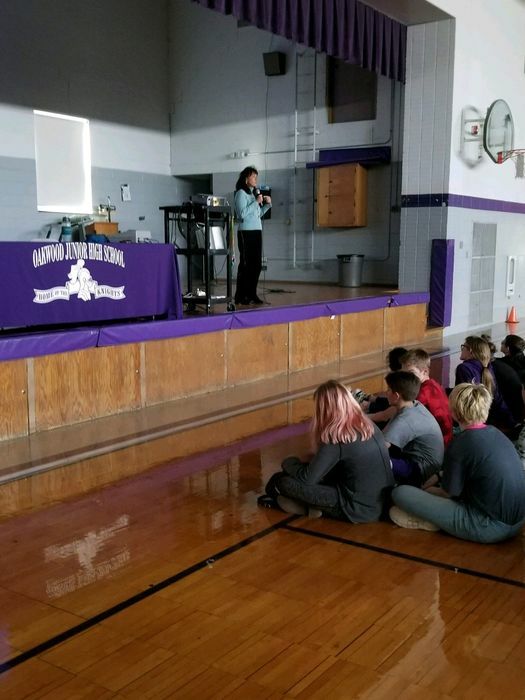 Our students will showcase what they enjoy about our afterschool program as well as provide a cooking demonstration of different food items from around the world! Oakwood Junior High Baseball Award Night is Wednesday, October 24, at 6:30 pm in the OJHS gym. The Halloween Dance will be this Saturday, October 27th, from 6:30-8:30 PM. Admittance if $3 and pictures are $1 each to purchase a copy. You may be in a picture at no cost. Costumes are allowed, but not required. All costumes and clothing must follow the dress code. Students from other schools are not allowed. 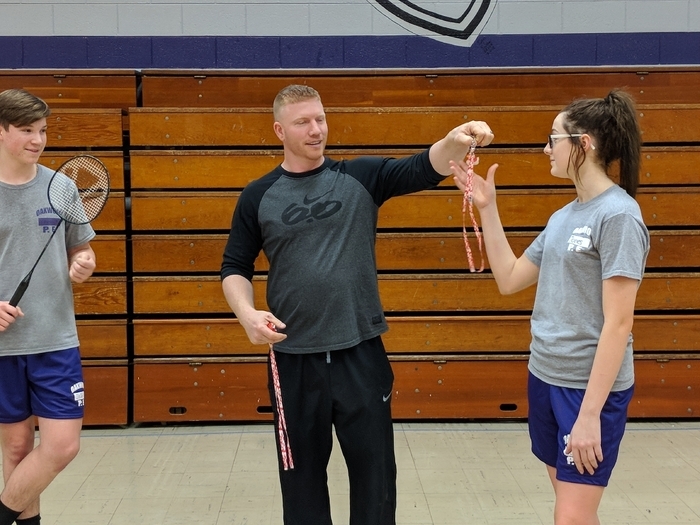 Eighth Grade Girls Basketball County - Tonight at Salt Fork/Jamaica. Game is at 6:00 pm. As part of the Socktober sock drive, OJHS will enjoy the following soul/sole warming activities: Wednesday, October 24, Mix & Match Sock Day Thursday, October 25, Socks with Flops! 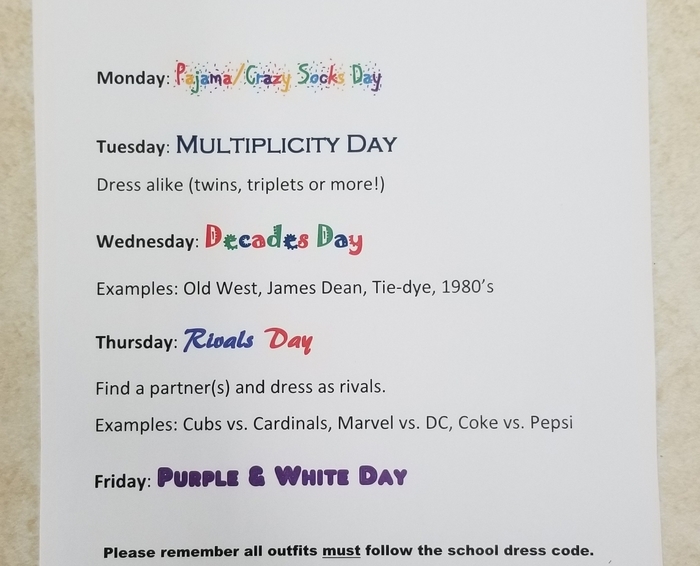 Friday, October 26, OJHS Spirit Socks Tuesday, October 30, Crazy Sock Day Thursday, November 1, Repurpose Sock Day If we meet our building goal, OJHS will have a Sock Hop during 6th Hour in November. 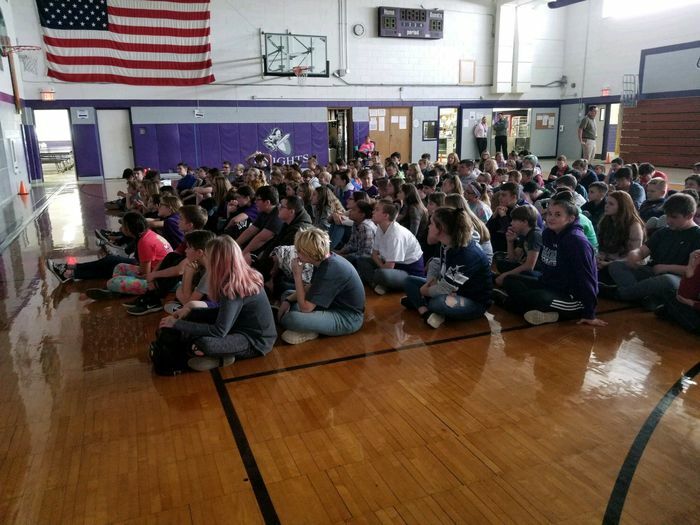 Celebrate Socktober with OJHS - Students are asked to donate at least one new pair of socks to be donated to the Domestic Violence & Transitional Shelter Services. Seventh Grade Girls Basketball County at Georgetown, tonight at 6:00 pm. OJHS Project Success visited Pumpkin Works Pumpkin Patch last Friday. OJHS Girls Basketball County Tournament schedules are available on the OJHS page under Menu-Documents-Sports Schedules. OJHS Boys Basketball Monticello Tournament information can be found on the OJHS page under Menu-Documents-Sports Schedules. OJHS Boys Basketball season starts with a tournament in Monticello beginning October 30, 2018. Game times are not available at this time. Parent meeting for Boy's Basketball players will be Monday night, October 15, at 6:45 at the grade school. 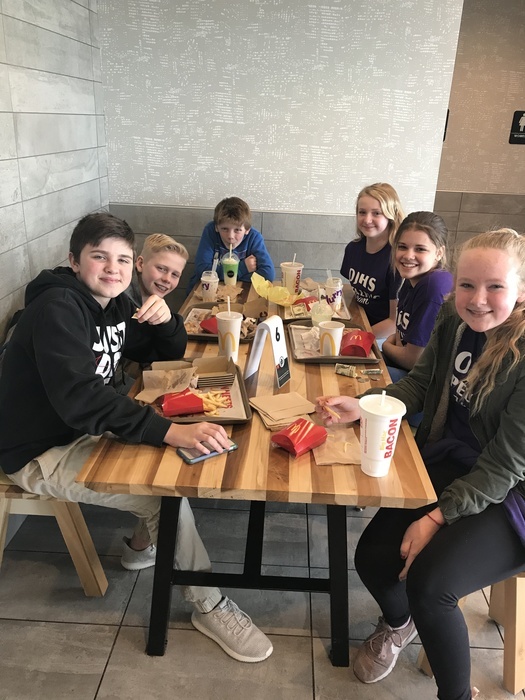 Seventh Grade will participate in the Manufacturing and Technology Day at DACC on Friday, October 12, 2018. A signed permission slip from the OJHS Knights News needs to be in the office. A permission slip can be found in Documents under Building Forms. The field trip is morning only. Students will return to OJHS for lunch. OJHS Boys Basketball schedule can be found under the OJHS Documents in the Athletics folder. Information about the UofI Vet Med Open House can be found in the OJHS Documents under Family Events. Oakwood Junior High School Parent-Teacher Conference schedule is planned to open on Monday, October 1. Please plan on joining us for PT Conferences. First home OJHS Girls Basketball game against Bismarck-Henning. Game starts at 6:00 pm. Season schedule can be found on the Oakwood Junior High School website under Documents-Athletics. Mr. Sheehan's classes are divided down the center while they study their Civil War unit. 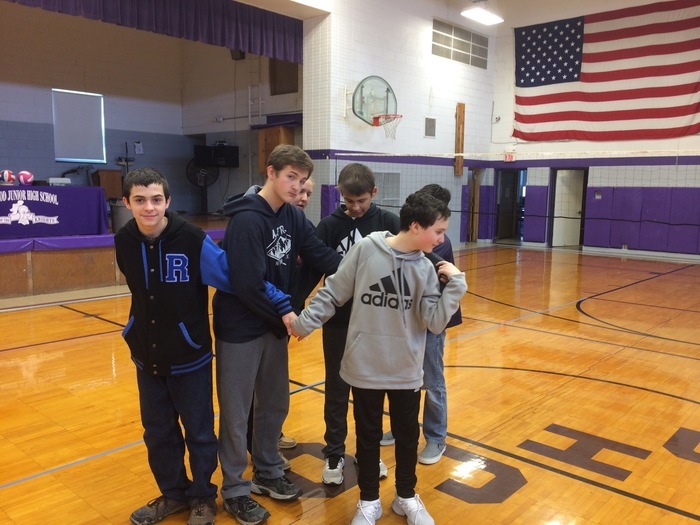 Students from one side are not allowed to work with students from the other to simulate the division people experienced during this time in history. OJHS Baseball falls 5-3 to finish season at 10-2. Matthew Miller went 3-4 with an RBI. 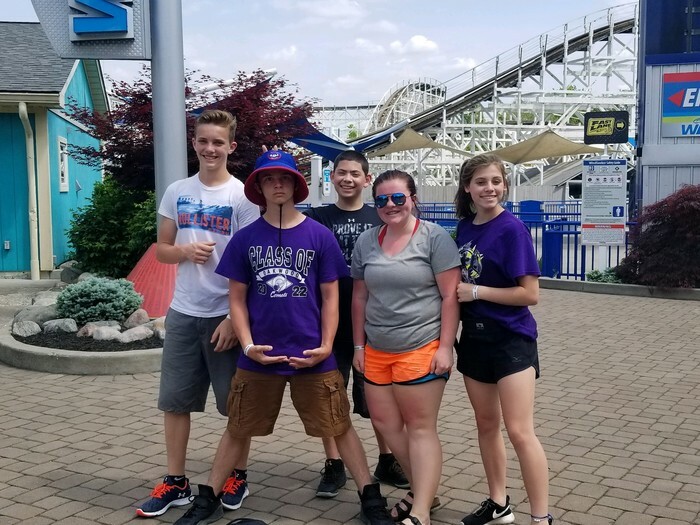 Thanks for a fantastic season! Good luck to OJHS Baseball team! Regional game is Saturday, September 15, at Bismarck against Bismarck-Henning at 11:30 am. 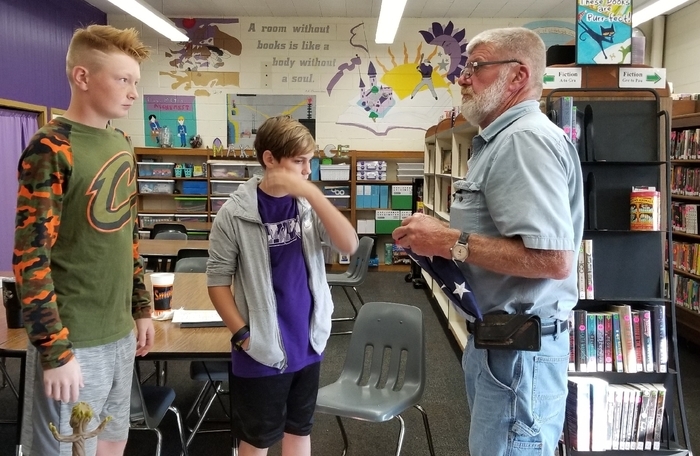 Jerry gives our new flag attendants instruction about their duties. OJHS students receive homework help during the after school program through Project Success. First quarter midterm is Friday, September 14. Midterm reports will be sent out next week. OJHS Project Success is offering our students homework time and great activities. For more information, please visit Documents on our web page under Project Success. An application is included. OJHS Baseball game at St. Joseph has been cancelled. OJHS Baseball against Bismarck Henning at home. 4:15 Eighth grade players will be recognized. 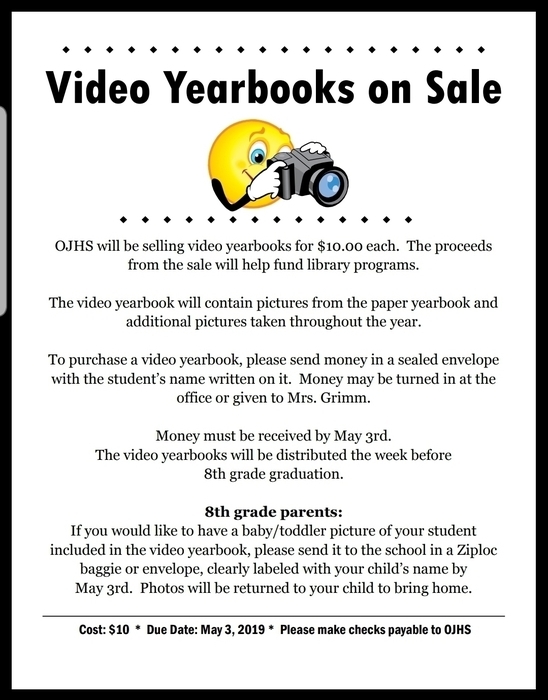 For 8th grade parents that ordered pictures at the end of the year, those pics will be mailed directly to your home from the company. They should be shipped on Monday, June 11. Oakwood JH is looking for a Special Education Teacher for next year. If interested, contact Mr. Tosh. Today's track practice has been cancelled. 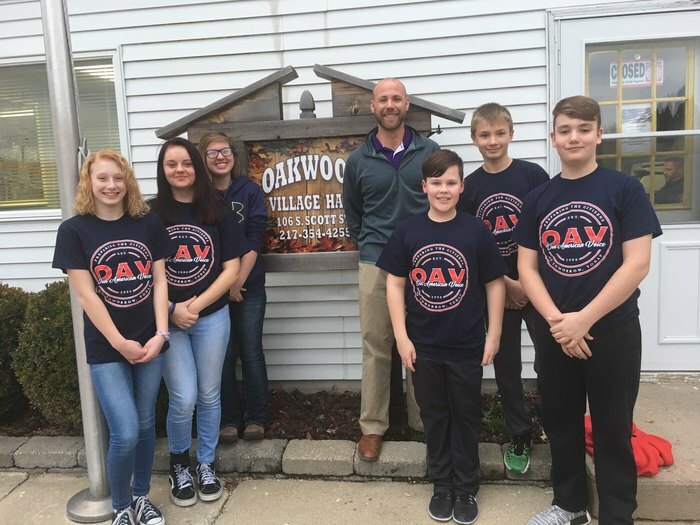 Tune into NewsMakers this morning at 7:30 on 1490 WDAN to hear OJHS Students discussing their OAV projects from this year! 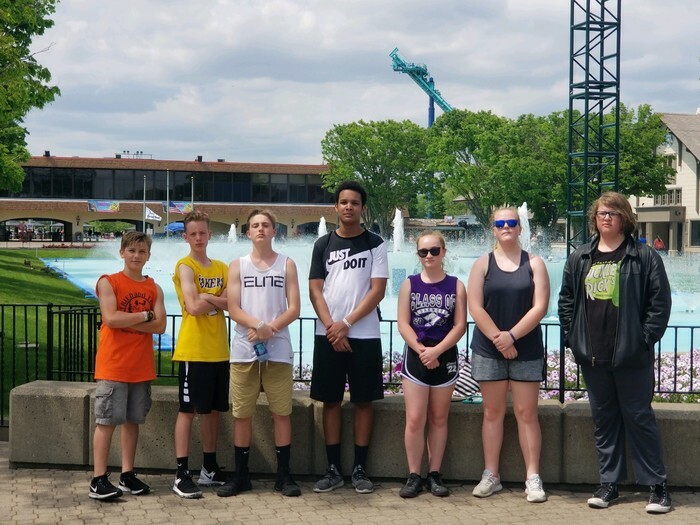 Make sure you tune into 1490 AM tomorrow morning at 7:30 to hear the OJHS Our American Voice group talk about their projects this year. Good luck to our scholastic bowl team in regional play tonight at North Ridge. 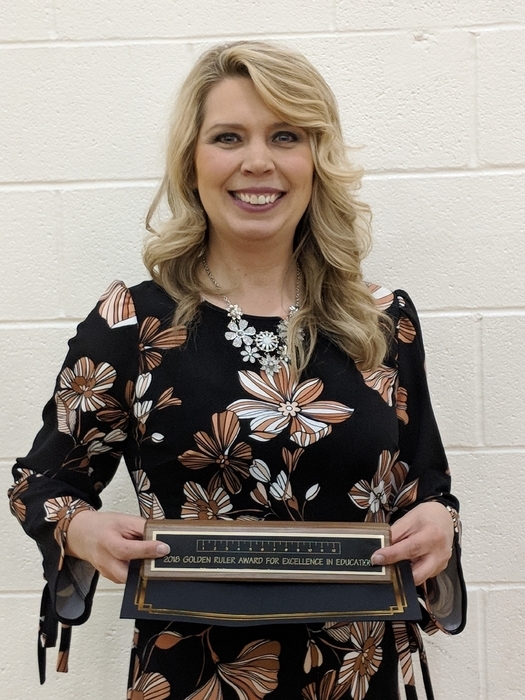 Oakwood Jr High Golden Ruler winner. Don't forget that 8th grade graduation pictures will be taken tomorrow morning. 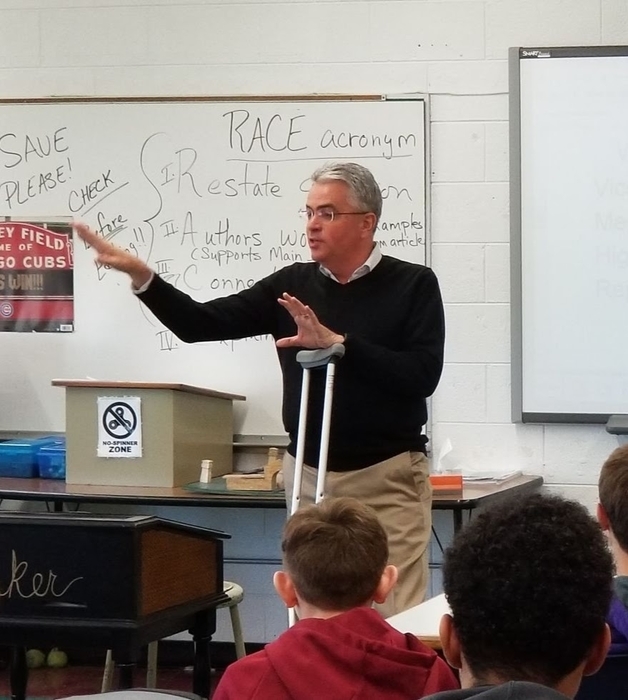 Mike Hulvey speaks to our "sportscasting" enrichment class. 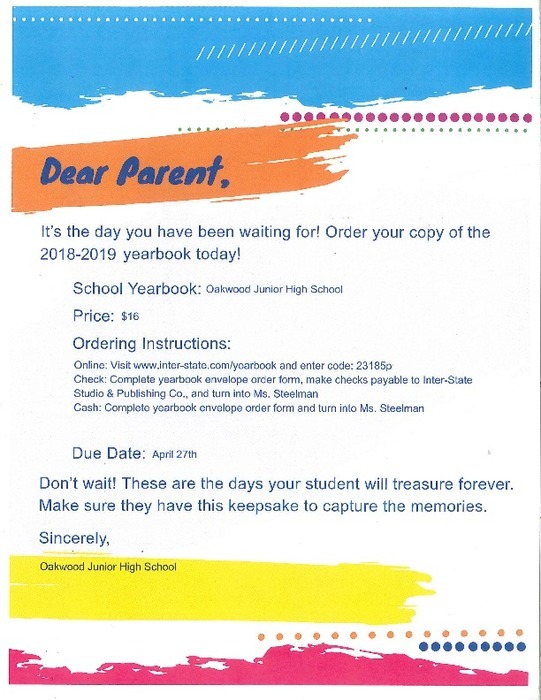 Here is how to get your yearbook! Look who showed up at the Oakwood Village Council meeting to share what they have been doing at Kickapoo State Park. The track meet scheduled for today in Bismarck has been cancelled. There will be track practice at the Jr. High until 4:30. The track scheduled for today (4/5/18) in Bismarck has been cancelled. There will be practice at the Jr. High until 4:30, and no practice tomorrow (Friday). Track practices will begin tomorrow. All athletes must have a physical on file with the office in order to practice. 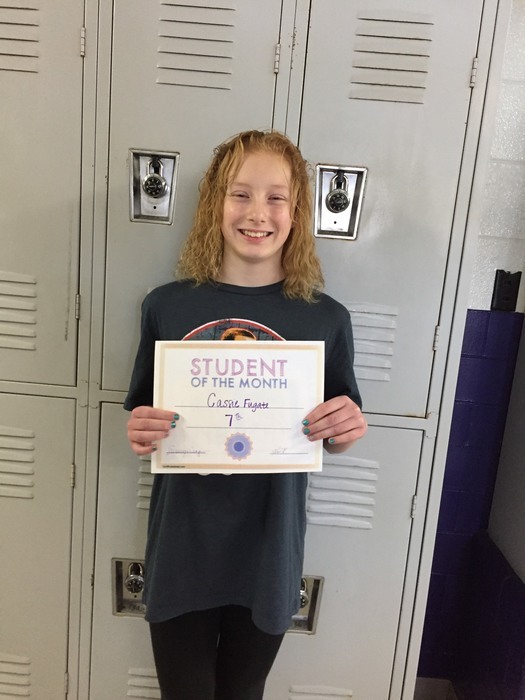 Congratulations to the OJHS Students of the Month! 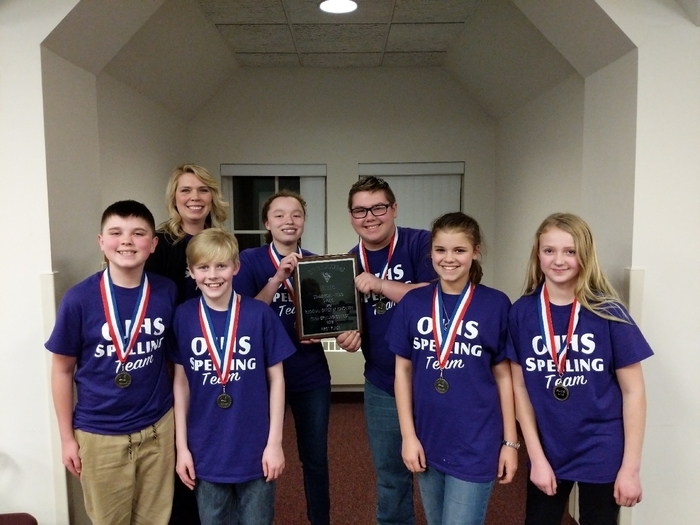 ICYMI: OJHS Spelling team wins the County Spelling Team Championship! Way to go Knights! Congratulations to the Oakwood Knights for winning the County Spelling Team Competition. 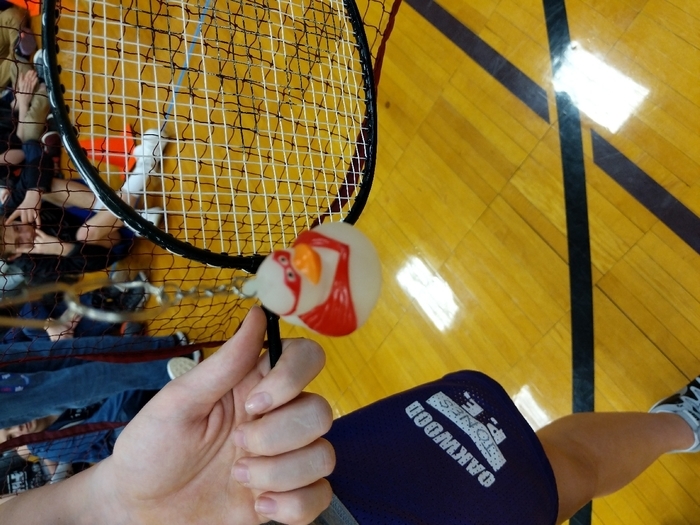 Finals of the OJHS badminton tournament. Good luck to the 8th grade volleyball team as they compete for a county championship tonight. Game is in Potomac and will start around 7:00. OJHS representatives at the IPA Student Recognition Breakfast. Knights drop 2 close matches. We'll get them next time. Tough night for the Knights. 7th and 8th both fall in 2 games. Split for the night. 8th grade wins in 2. Parent team meeting today at 5:30. Discussing the spaghetti supper. If you are interested in helping out, you are welcome to attend. 7th grade falls to St. Joe by 7. 30-23. Halftime of the 7th grade game: St. Joe 15 Oakwood 8. 7th grade beats Georgetown 39 - 10. 7th grade up 25-5 at the half. Both 7th and 8th grade get wins over Paris Mayo on Monday night. Way to go boys! Good luck this weekend to our cheerleaders in their first competition. Final score: Gifford 30 OJHS 28. Knights up 9 - 7 at the half of the 7th grade game.